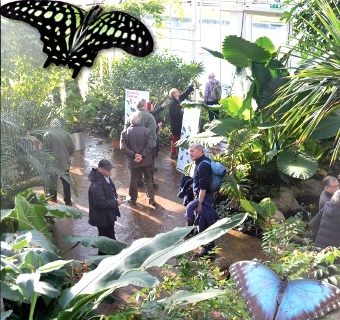 EMERGING from the cold and grey and into a colourful tropical paradise aflutter with exotic and beautiful butterflies was truly uplifting for those who witnessed the latest display in Wisley’s Glasshouse on Saturday. 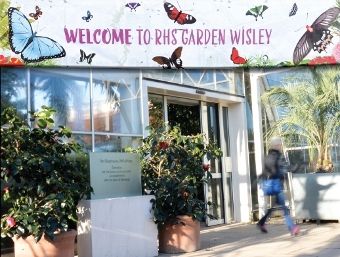 It is an exciting sight for all who visit Wisley’s winged wonders over the next few weeks . Shards of colour from the striking Blue Morpho, Giant Owl, King Swallowtail and the bright orange Malay Lacewing catch the eye as they flutter freely between exotic ferns, palms, lush-leaved creepers and dazzling flower displays. The curious creatures can be seen flying among the nectar plants and feeding from fruits and sweet liquids at designated stations. 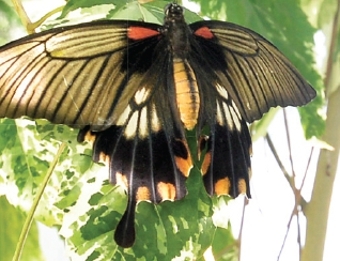 Children have the opportunity to learn about the life cycle of butterflies at the special puparium, and may even be lucky and have one settle on them if they can keep still for long enough. 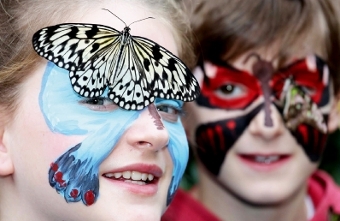 As part of Wisley’s half-term activities week (February 14 until February 22) youngsters can discover the world of butterflies and learn of their super skills and special senses.